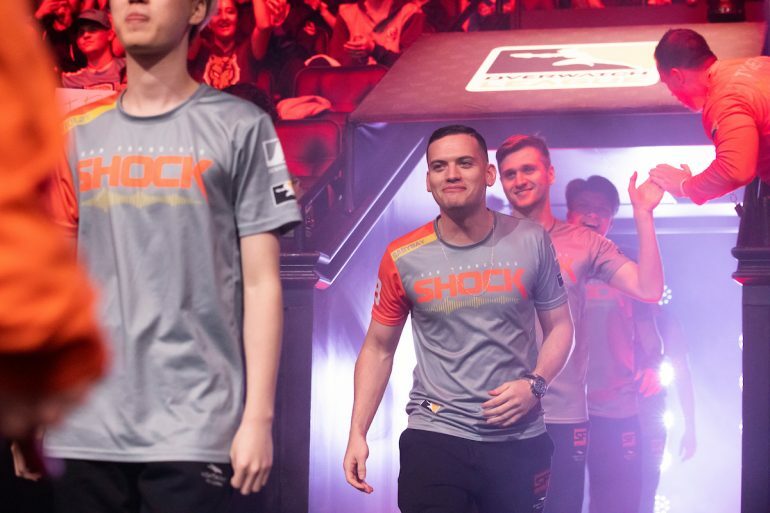 Just days before the second stage of the 2019 Overwatch League season begins, San Francisco Shock traded DPS player Andrej “Babybay” Francisty to Atlanta Reign. Babybay joined San Francisco Shock’s roster in 2017 as one of the first members of the team. While the Shock struggled with consistency in season one and failed to find long-term success, the team made it all the way to the stage one finals this season, falling second only to Vancouver Titans after a gruesome back-to-back series. The DPS player tweeted a farewell to his former teammates today and thanked his fans for their support. “The Shock grew so much and we all really became a close brotherhood and I will miss seeing everyone everyday! There’s no question this team will be a top 3 team in the league this season and I wish the Shock the best of luck,” Babybay wrote. Last week, Atlanta Reign revealed their star DPS player Daniel “Dafran” Francesca had retired from the professional Overwatch scene to focus on streaming. It was unclear who the team would sign to replace the DPS player, but fans of the team finally got their answer. Babybay will now join the Reign in stage two of the Overwatch League when the team goes head-to-head with Boston Uprising for the second match of the day on April 4.